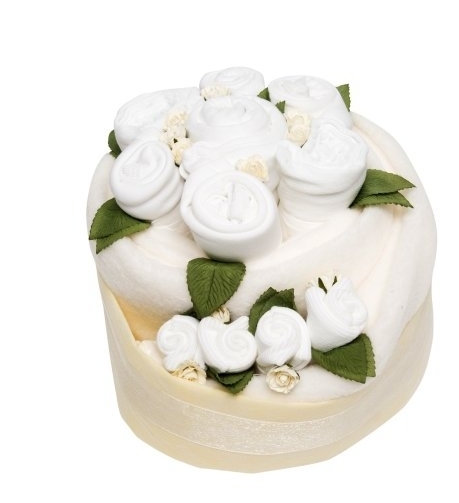 Celebrate a new arrival with a Baby Cake that is sure to delight. Filled with all those baby essentials and finished with a gorgeously soft fleece blanket. 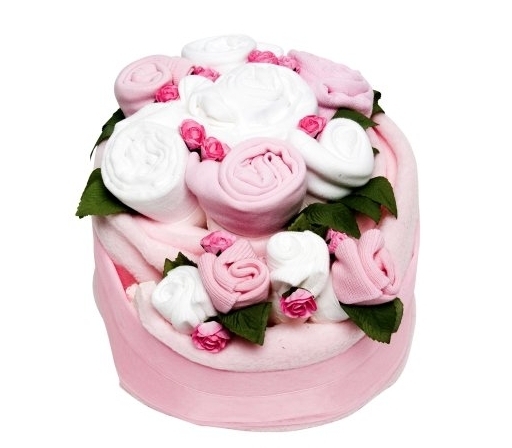 Presented as a mass of flower buds and finished with a cascade of gently unfurling rosebuds in Sugar Pink for a baby girl. The New Baby Gift Box version of the Nappy Cake. 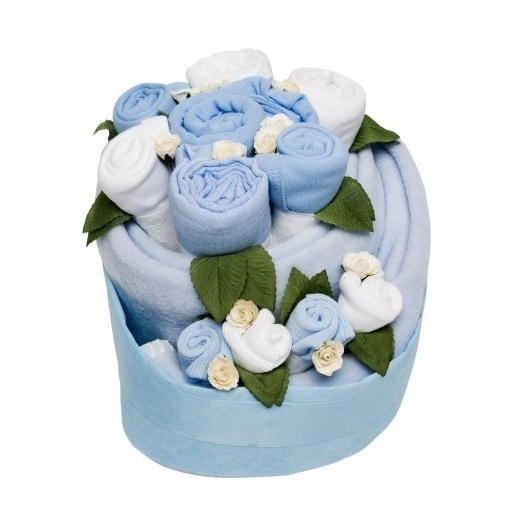 Sized 3-6 months All clothing in our bouquets is a generously sized 3-6 months, ensuring it will fit a larger baby and giving the recipient plenty of time to enjoy the bouquet before unfurling the flower buds to reveal the clothing inside. 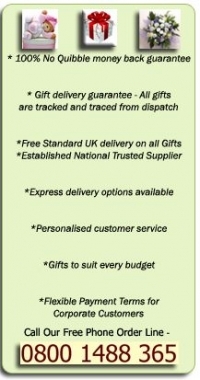 To find out more about the baby clothes in our bouquets. Press Awards The Celebration Baby Cake was a finalist at Gift of the Year Awards 2007, featured in Prima Baby November 2008, seen on ITV This Morning and was featured in OK Magazine at the Baby Shower of Celebrity Mum of the Year Katie Price.